WE HOLD SHOWS FOR POSH NAGS , SHOWING SOUTH EAST ,SOUTHERN MINIATURES AND GREAT CHART SHOWS. We are pleased to announce that we have teamed up with Horse & Hound to provide online event entry. 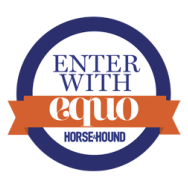 Equo Events, powered by Horse & Hound, allows you to enter events quickly and easily online via a secure payment system, using your laptop or smartphone, wherever you are. You will be able to receive notifications of drawn orders, times and even keep track of your successes on Equo Events! Please click on the arrow and ENTER to be redirected to Equo to complete your entry. Your payment will be made securely and directly to us and you will receive instant confirmation. If you are yet to register you’ll be prompted to do so first.